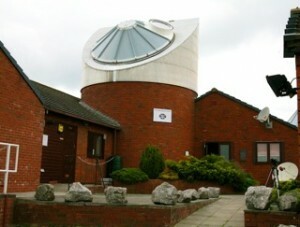 The Spaceguard Centre is the National Near Earth Objects Information Centre (NNEOIC). With Jonathan R. Tate as its Director, it is the only organisation in the UK dedicated to addressing the hazard of Near Earth Objects. NEOs are asteroids and comets that come close to, and sometimes collide with the Earth. Such impacts can have devastating effects – they have in the past and will in the future unless we use available technologies to prevent them. 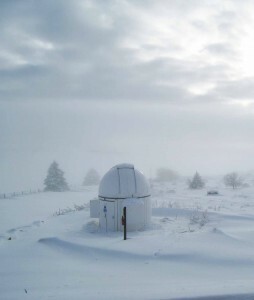 Spaceguard UK operates the Spaceguard Centre (located in Knighton, Powys, UK) from where it provides timely information to the public, press, media and education about the threat of asteroid and comet impacts, and the ways in which we can predict and deal with them. The Centre aims to develop and maintain a world-class facility for astronomical research and science education, and to bring the wonders of the universe to everyone in a fun and understandable way. What is the Spaceguard Project? The threat posed to mankind by the impact of an asteroid or comet is now widely recognised as one of the most significant risks to human civilisation, yet there is no co-ordinated international effort to identify threatening Near Earth Objects (NEO’s) or to deal with them once detected. Over the past decade or so it has become apparent that asteroidal and cometary impacts have played a dramatic, possibly leading role in the development of this planet, and the evolution of life. Natural Science is in the throes of a revolution in thinking, akin to that that occurred after the publication of Charles Darwin’s “On the Origin of Species by Means of Natural Selection”. With this understanding comes the realisation that there is no reason to believe that this extraterrestrial influence is at an end, and the possibility that a major impact could severely disrupt, or even destroy our current way of life on a global scale is one to be considered seriously. As a result of this ongoing research there is a growing international movement dedicated to quantifying and assessing the risk, and to determining methods of avoiding threatening impacts. While the subject has traditionally suffered from a great deal of scepticism this attitude is now disappearing, and the matter has become one of serious research. Visitors are very welcome at the Spaceguard Centre, where you will be able to hear about Spaceguard and learn something about the wonders of astronomy. But beware, a visit to the Spaceguard Centre has been known to change lives! The funding for the Spaceguard Centre all comes from the admission fee charged to visitors. This is enough to maintain the building and equipment, and to pay for utilities, but not enough to pay staff salaries. 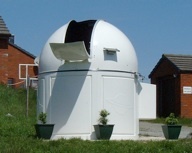 The observatory is privately owned, and was fitted out and equipped at the expense of the owner and operators of the Centre. 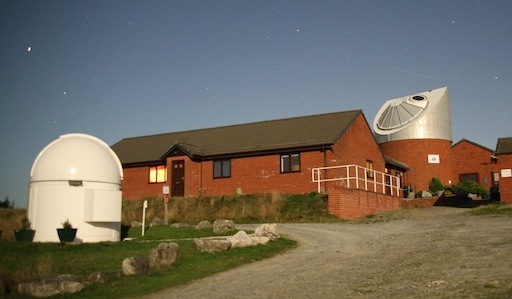 In 2002 we received a PPARC small award (£1400) for IT equipment to support the Faulkes Telescope Project, but that is the only external support that we have received since opening in 2001. Funding for Project Drax has come entirely from local sponsors (services in kind such as the crane to remove the Schmidt Camera from Cambridge, transport, storage etc. 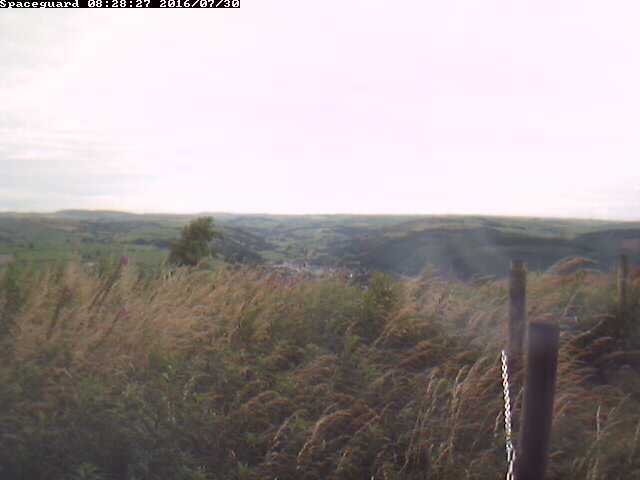 ), donations from visitors to the Centre and the efforts of the Marches Astronomy Group. The Centre continues to enjoy the moral support of organisations worldwide (including the Spaceguard Foundation, UN AT-14, B612, the MPC, NASA, JPL and the various NEO survey projects worldwide) they are pretty cash-strapped as well!